November will likely see another player enter the NJ sports betting market after Australian operator PointsBet begins operations. The Australian company announced its intentions after agreeing to a deal with Meadowlands Racetrack and Tioga Downs in New York back in July. To introduce itself to the NJ online gambling market, PointsBet has signed up NBA star Allen Iverson to front the company’s advertising campaign. PointsBet will launch in New Jersey in November under the Meadowland license, according to reports. To make its mark it plans an inaugural free-to-enter $1 million sweepstakes competition. Sports bettors who sign up at the PointsBet.com website will get a free entry into the sweepstake. To win, players must pick the eight finalists of the 2018/19 NBA East and West Conferences. The New Jersey market is now extremely competitive, and PointsBet knows the challenges it faces to win market share. Like all the NJ sports betting operators so far, PointsBet will be available 24/7 on desktop and mobile devices. What will make the company stand out is its signature product, Points Betting. This is a high-risk game, but it offers the chance to make big returns — or big losses. The game is based on predicting how close the final number is to the spread. 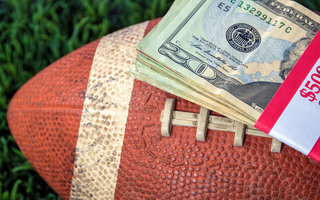 A bettor can wager money on the over, for example. Assume a $1 bet and the total ends up 10 points over. In this case, the bettor wins $10, but if the final number ends up 10 points under, the bettor loses $10. In its home Australian market, PointsBet offers bets on thousands of sporting events around the world. It will be bringing those sports to New Jersey as well as the standard US favorites: NFL, NHL, MLB, and NBA. Though Joss Wood's primary focus is on international regulated online gambling markets, he also follows the legal New Jersey online gambling industry and writes extensively about sports betting. Previously he worked as the editor of Poker Industry Pro, worked in business and finance, and played online poker professionally for seven years.